King Ba Saw Phyu ascended the throne of Mraukoo in 1459 AD. The king let the western-palace queen live in the western-palace chamber in the west of the palace near Mauktawgate. The western-palace queen gave birth a daughter called Saw Shwe Kya in such place. Minister Min Nyo of Bardugyun composed a lullaby, and presented it to sing in the cradle-swinged ceremony for princess Saw Shwe Kya. That Lullaby became well known as Rakhine princess lullaby in the history. 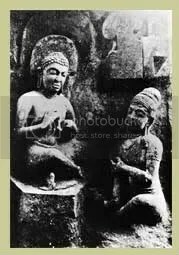 Princess Saw Shwe Kya built a Buddha image and a cave in the site of her palace chamber as the donation in AD 1471. 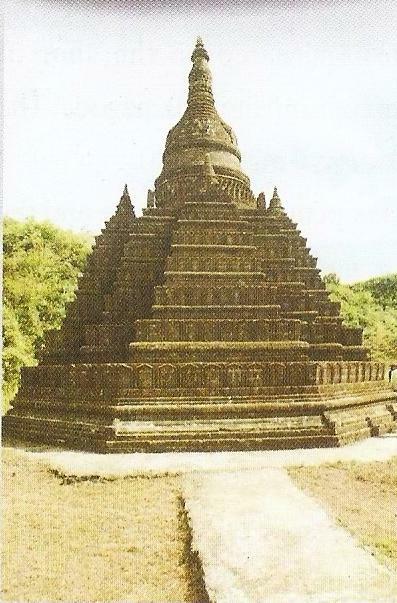 It is situated in the south-west of Anawma pagoda. The upturned lotus petals, were sculpted of stone at the terraces, and they are the scarce hand-artistic works of Mraukoo period. The pagoda is called Shwekyathein with reference to the princess’s name. In the past, the prayer hall was in front of the cave. Nowadays, the original prayer hall had already collapsed, therefore, the new prayer hall was built over the Buddha image surrounded with the brick wall. The board of trustee maintaines the pagoda.